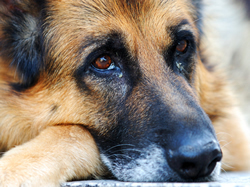 Insights to Dog Behavior | Do Female Dogs Bark More Than Males? When we had our three Yorkies there was one female and two males. Our female, Kady, drove me nuts with her barking. Put her out in the yard and she’d bark at anything and everything. It didn’t even have to be moving. Heck, she’d start barking before her feet hit the back porch and there was no shutting her up. Our males, Damien and Crocket weren’t much for barking outside unless our neighbor was out there – then they’d all get to going. Nissa is pretty much the same way as Kady was. She waits until she gets outside to bark (unlike Kady who couldn’t even make it out the door). Nissa barks at the sun, the moon, the visible neighbors, the invisible neighbors, the dogs she can see and the dogs she can’t. She barks at shadows, she barks just to bark, she barks to hear herself talk. Did I miss anything? Now, she doesn’t bark all the time, just most of it. She really doesn’t bark much inside the house, it’s when she’s outside. Riley can be going ballistic at the window barking at people walking by and she usually just watches him. She may not even get up and go look or she might. Once in awhile she’ll go to the window and start some mild barking, but not often. She prefers to growl at the window, Riley on the other hand doesn’t growl he barks. I realize that barking is normal dog behavior, it’s what dogs do. It’s their way of communicating whether it be to warn us that something just isn’t right or to have a gab fest with other dogs in the neighborhood. I don’t have a problem with it when there’s a reason to bark, but to go out and bark just to make noise is very annoying – not only to me but to the neighbors. Because dogs don’t know the difference between day and night, it’s particularly disturbing to me because I don’t want her waking the neighbors with her night-time bark-fests. Hubby says it’s ok to let her bark during the day and he’d leave her out there barking but at night he doesn’t let her do this. I on the other hand, go bring her in no matter what time of day or night it is. She doesn’t have a clue that it’s ok to bark during the day but not at night so I feel we need to be consistent. Riley will bark outside when he sees someone go by the house, that’s (to him) reason for barking – he’s protecting his territory or he’ll bark at other dogs he can see. Nissa on the other hand, doesn’t need a common-sense-to-a-human reason to bark. 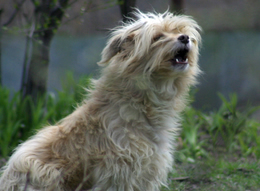 What’s Your Experience With Barking Dogs? So, I’m curious .. what’s your experience with barking dogs? Those with multiple-dog households where you have a mix of male and female … do your female dogs bark more than your males? Do your dogs seem to have a common sense reason to bark or do they just bark to hear themselves yakk? Go ahead and consider the neighbors dogs, too. You probably know if your neighbor’s dog is male or female. Thanks for the added input. Not in total agreement with you on personality changes due to spaying or neutering but that’s a whole ‘nudder topic! Thanks so much for sharing your experience and beliefs with us! For me, barking in the house is a big NO, even if someone is at the door, we hear an abnormal sound or there is someone in the garden (we share the garden with neighbors). In the park, only play bark is ok. I walk my dog at night, mostly off leash, and since last month she started barking when she is startled (didn’t notice someone present). I know it is normal, but still I try to let her know I am not ok with it. The main reason being is that she is a german shepherd, and a lot of people are a bit scared of her in the first place, so if she barks they think she might be aggressive. If I spot someone before her, I call her back to my side and she never barks from there. All in all she is not a big barker, although that may be due to me not liking it. My roommate on the other hand “likes” her dog to bark (also a female). When she says the word “park” her dog barks quite a lot in excitement and she finds it cute, which is a form of encouragement. She barks also at the words “thief” and “squirrel”. I must admit it is very cute. She also barks outside in the park when she “doesnt like the looks” of the person or dog coming towards us. Thanks for your reply. Breed *might* have something to do with it, but I’m kinda doubting size does. Our 4lb female Yorkie was a huge barker when she was outside as is my nearly 80lb German Shepherd. Riley barks pretty much only in protection and territorial mode — which unfortunately is a little to often to suit me, LOL! I’m starting to think it’s maybe more in a dog’s breeding and personality more than anything else. I wish you and your dog safety in your off-leash walks. That’s a problem here and it’s also against the law here. We have many people that let their dogs loose in their yards which is a real problem for people walking their dogs. But that’s a whole ‘nother topic that I won’t say any more on here. Thanks again for dropping by and adding to our website. We hope to see you again!